Recently, the current Complaint Management System has been upgraded with the OTRS to record and track the enquiries/reports from the factories in and around Chennai/India. Dubbed as Complaint Management System, [CMS] it serves as a platform to give instant alerts through mails, whenever a problem is reported, thereby ensuring that the solution is provided instantly without any time delay. 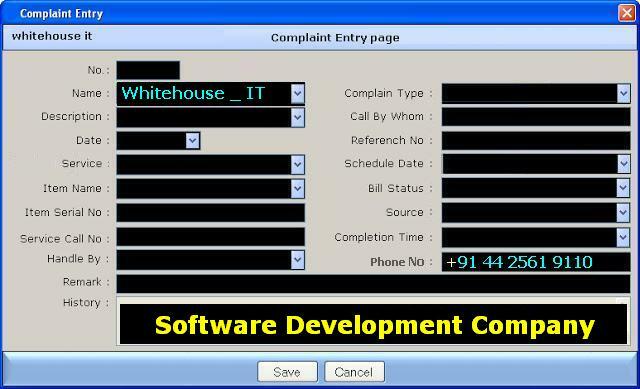 With their successful real time installation, working and maintenance experience, WHBS can provide any enterprise, corporate or government agencies to implement the OTRS or Complaint Management System in their premises. OTRS or CMS has a structured workflow environment which enables each and every problem to get individual attention to it. WHBS undertake the installation, training and maintenance(if required) of OTRS or complaint management system with its vast pool of specially trained custom program developers. Since year 2000, WHBS 's unified framework and the products built around it has powered some of the world's best digital learning, assessment and talent management programs. We have a team of over 200 full time associates based in India with a global clientele. This new concept of e-learning is very nice, Now a days there is some Best School Software in market which can make work easy. Nice to know about this business details.